See McLaren's racing pedigree first hand with a McLaren driving experience. With a rich history in motorsports, driving a McLaren is a must for any petrol head. Tick it off of your bucket list and get behind the wheel of the 570S, 720S or the MP4 12C, with a GT3 variant available. Our full range of adult and junior McLaren driving experiences, at UK wide locations, can be found below. 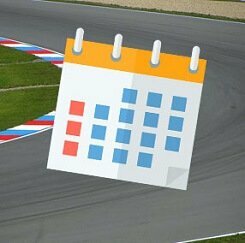 Find available dates for mclaren driving experiences with our live calendar. What is a McLaren Driving Experience? 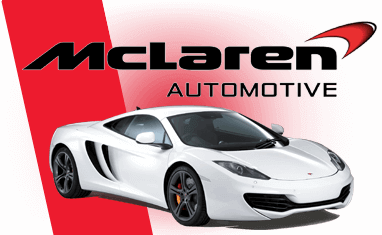 Since their reintroduction in 2010, McLarens have always been the premier British supercar manufacturer competing with the likes of Ferrari, Lamborghini and Porsche. Following in the footsteps of their motorsport counterparts you too can experience the speed, handling and thrills that a McLaren supercar can offer. We have a number of incredible McLaren supercars available for your driving pleasure including an MP4-12 GT3 racing car. Nothing compares to the roaring unrestrained V8 in the back of a full-on racing car. This incredible machine has 496bhp and is capable of speeds in excess of 180mph. You will have the opportunity to experience exactly what a racing driver experiences as you speed around the track feeling all the bumps and G-forces in this purpose built racing car. Another of McLaren’s highlight cars we have to offer is the 720S. With 700bhp and a 0-60 time of just 2.6 seconds, this incredible machine has to be seen to be believed. With a top speed of 212mph, this is the quickest McLaren in the Trackdays fleet and we will give you the chance to take it around the track at a number of world famous locations across the country. We also have the 720S’ baby brother available, the 570S. This amazing supercar is no less of a thrill ride, capable of 0-60mph in just 2.7 seconds thanks to its 3.8-litre V8 engine. Pumping out 570bhp, this baby McLaren has an incredible top speed of 210mph. All of these fantastic McLaren experiences are available at a range of locations across the country including the world famous Brands Hatch, Knockhill, and Dunsfold Park. On all our driving experiences you will receive a full driver’s safety briefing from a fully qualified instructor. But don’t worry, they aren’t there to ruin your day, they are there to make sure you have the most amount of fun possible in a safe, controlled environment. Above you will find our full list of experiences as well as all of our McLaren experiences. We also offer a range of McLaren driving experiences for kids, great gifts for birthdays and Christmas.